Southport NC BoatingThe Cape Fear region is all about water: the river, the Intracoastal, the tidal creeks and estuaries, and (of course) the ocean. Where there is water, you'll find boats...and plenty of them! While power boats may dominate the scene, sailboats hold a steady place in the hearts of many Coastal Carolinians. 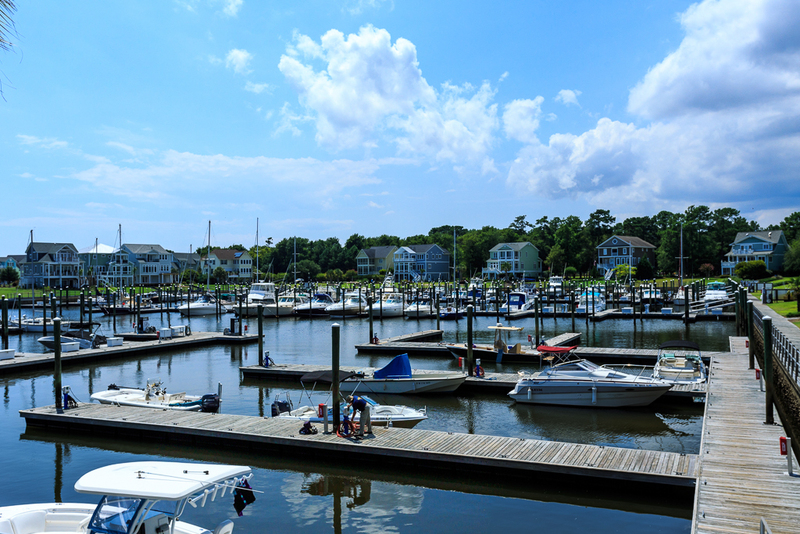 In fact, one of the more conspicuous sights on the Southport waterfront is the Cape Fear Yacht Club, were you'll hear halyards chime as sailboats sway gently at their docks. The area is a stopping point for many cruisers, headed north or south. On any given day you'll find a procession of sailboats on the waterway, many with out-of-state ports of call. With the tradition of the sea at your beckoning, it makes sense that sailing is one of the best ways to enjoy all that Coastal Carolina has to offer. Southport NC BoatingSt. 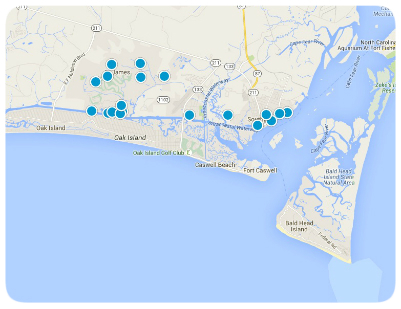 James Marina is a full service facility situated on the Intracoastal Waterway. As a gateway to over 1,200 miles of Eastern Seaboard, it is a frequent stopping point for transient yachts making their way up or down the waterway. Here, ocean sunsets and moonlight cruises can be enjoyed year round. Marina Village is a waterfront neighborhood surrounded by a 155-slip basin for vessels ranging from day-sailers to motor yachts. 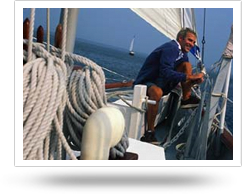 With easy access to the Atlantic Ocean, you can sail to the open waters or navigate the Intracoastal. At all times, passage to and from the marina is overseen by the harbormaster.